"Entertainment that's beyond simply watching"
Live entertainment has never been this good. It has always been a source of fun, leisure and excitement! When looking for corporate or family entertainment, you want to be confident that you have made the right decision for your group and chose the best venues for live entertainment. We have listed 10 venues and unique activities like an ESP show that would make your events marvelous! Convention Center. This could be the best place for your corporate event. 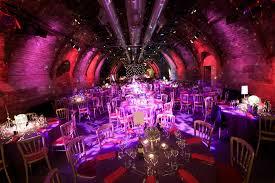 Many people don’t like to attend a corporate event because they worry about it being boring or confined. This doesn’t have to be the case when the right Seattle Corporate Entertainment venue is chosen. One of the best choices is live entertainment like an ESP Show Seattle event that is sure to keep the entire guest list engaged. Sports Stadium. Sports have always been exciting for the fans. Why not throw a mind-reading intermission number to make the crowd go wild? School. Your kids might love a numerology show during their assembly or midyear performance at school. Amusement Parks. You can host your holiday party in an amusement park. A live band would be fun but it would be much better to have an ESP Entertainer in the crowd. A perfect example is getting an ESP Seattle live performer who can truly capture the crowd through active participation and mind-blowing mysteries. Hotels. Amaze your guests by inviting an ESP professional who can mystify the whole crowd with his ability to know what individuals were thinking, his incredible memorization ability and his enjoyable humor. Resorts. Spend time celebrating your Corporate Event in Seattle in a nice resort and book an ESP live entertainer to perform a mind-reading show. This will surely be unforgettable! Restaurants. Boost your sales with a live ESP show every Friday and for sure word of mouth of the event will boost profits and attendance. Club. Enjoy bottomless drinks, swag to the music and be entertained by a mind-reading show! Opera House. Why not present a numerology show while the actors change attire for their next performance? This out of the box intermission will surely delight the crowd. Local Community Center. Why not hold a recognition ceremony for the seniors in your community? An ESP show will surely add life to the event! Summing up, there are a lot of live entertainment venues wherein an ESP show is your golden ticket – you would want to be the mastermind behind the event that everyone can’t get over because of how amazing it was! Many people don’t like to attend a Corporate event because they worry about it being boring. This doesn’t have to be the case when the right Seattle Corporate Event Entertainment venue is chosen. One of the best choices is live entertainment, and this can be enhanced when the decision is made to make it an ESP Show Seattle event that is sure to please all of the attendants. 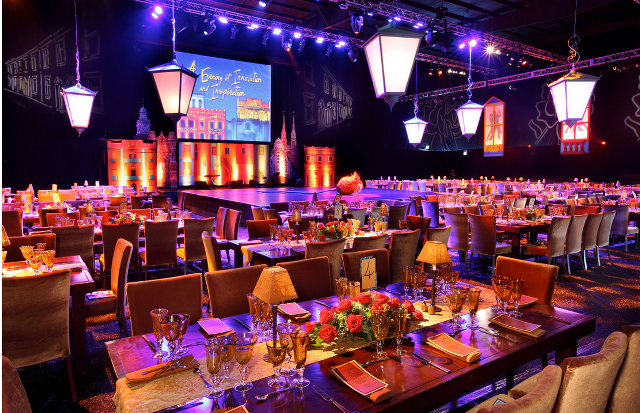 There are a lot of benefits to utilizing live entertainment for a corporate event. While most think of music or dance as the main form of live entertainment, the added pleasure that a ESP Seattle venue can bring usually escalates the event to a much higher success level. It is the ideal format for the event planner to utilize as it can be structured around the theme of the event. It can be fit into the available time slot, and most guests thoroughly enjoy the interaction that can take place within the show. The challenge is for the event planner of the Seattle Corporate event to find a professional and well respected ESP Show Seattle provider that has the necessary skills and ability to be a corporate crowd pleaser. If you have a corporate event and looking for a unique form of entertainment, numerology readings might be the way to go—especially if you don’t have a big crowd or a out of the box program flow. This is not to say that such readings won’t work with a bigger crowd because it can be just as effective and entertaining regardless of the size of the event. Ideally, numerology readings are done on a one-on-one basis with a table setup located on one side of the room. A professional ESP show Seattle performer would get the subject’s birth date and use it to reveal inner insights about them, as well as prospects and insights for the future. These readings only run for about 3 to 6 minutes and the best part is that each participant will leave with their own personal chart, which they could further analyze and even discuss with their peers and colleagues. This creates excitement and conversation. This is a perfect alternative to the traditional standup presentations, but nevertheless just as interesting, engaging, and exciting for the participants. This is a great way to get the people talking and interacting with each other all night long. Corporate event organizers like you sometimes find it hard to “brew” the right type of show for your audience. With the emergence of the internet came an influx of corporate show ideas which add to your confusion. Which should you include in your next event? Of course, the more unique the idea, the better it will be for your event. Add a mix of mind reading or numerology shows to your event and your guests will have a great time knowing each other’s thoughts and feelings via the predictions of a mind reader in the city of Seattle or a mind reader in the state of Washington depending on where you are located. You will be amazed at how an ESP show in Seattle engages you and your guests! 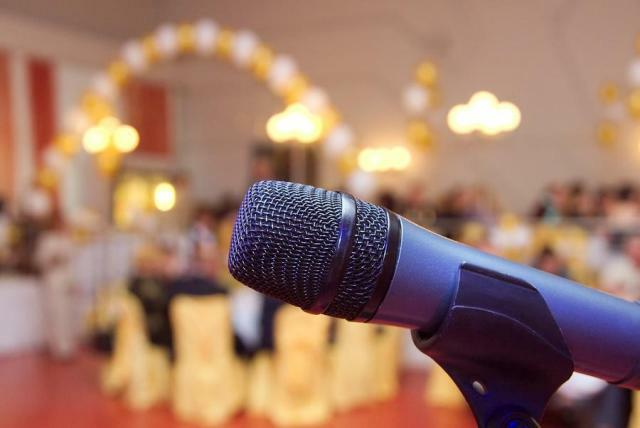 The emcee will ask a set of seemingly unrelated questions, interrelates and interprets them to form perfect assumptions of what each of you have in mind. For example, the mind reader will ask you to focus on a particular object in your pocket. Be prepared for a prediction that will blow your mind away! Truly, an ESP show in Seattle will give you one grand special event that will be etched in you and your guests’ minds forever. In the heart of every social entrepreneur lies a seed of kindness that when nurtured, can become a great success. Yes, a lot of business owners are now reaching out to people in their local areas to address various needs and requests for change. These entrepreneurs view their businesses not only as their sources of income but also as the perfect avenue to make a difference in this world. But social entrepreneurship is not easy. An entrepreneur like you may have your sights set on a particular mission, but completing that mission takes time, patience and funds. You and your employees may have to work longer hours. Your partners and sponsors need reassurance that your enterprise will succeed, not only for financial gains but to ensure that your clients will be delivered the vision that was promised. This is why holding a corporate event occasionally will make social entrepreneurship easier for you. Where else, but in corporate events, can you gather your key employees and sponsors at the same time? Have a corporate mind reading show and all of your employees, partners and sponsors will have a memorable time learning each other’s thoughts – especially yours! Corporate numerology shows, on the other hand, can send them laughing their hearts out once they know their “latent” characteristics. Performance-Based Travel-Nearly three quarters of businesses in the U.S. spends over $7 billion per year on travel incentives and corporate gifts. This incentive is usually given to sales account executives to push them to increase sales. Team-building activities-To break the tension at the office and ease the stress at work, team-building activities are held in both local and out-of-town places. These activities are often practiced by BPO (Business Process Outsourcing) companies. These outings are meant to minimize burn out from long hours of taking calls and handling irate clients. Family Socials-Family get-together activities are often held annually with the objective of getting the family to understand the employee’s nature of work and be more considerate when the company demands the extra time and effort; it is like a subtle thank you for understanding. Capability-building seminars and conventions-these can be in-house or out-of-town events where participants are short-listed according to their performance evaluation and needs. Corporate Awards-Companies give awards and incentives to employees in recognition of their valuable contribution to the company’s growth. These events are followed often by a lunch or dinner. For a smaller and more formal award ceremony, often is made to be a bigger to-do and live entertainment is often involved. There is no shortage of entertainers in the entertainment industry but only a select few can really spark interest and entertain. Of all the different avenues that relieve work-related stress, the most cost-effective and predominantly used tool is the performance of a live entertainer. 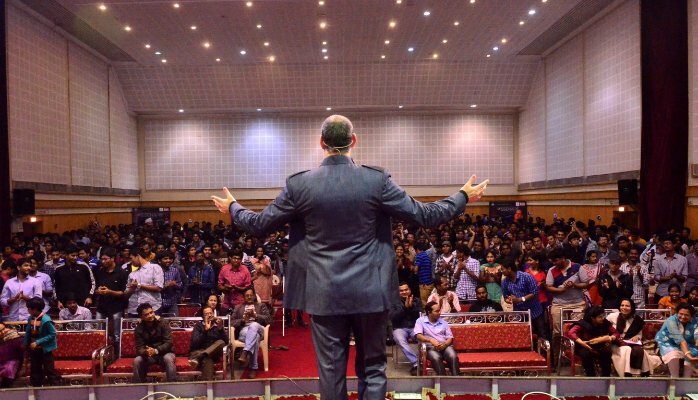 A live show is considered an ice breaker when the topic becomes too academic and tedious. But not all entertainers have the gift of gab that can make the audience laugh with just a punch line. By hiring an exceptional entertainer it can turn a dreaded function into an unforgettable affair. 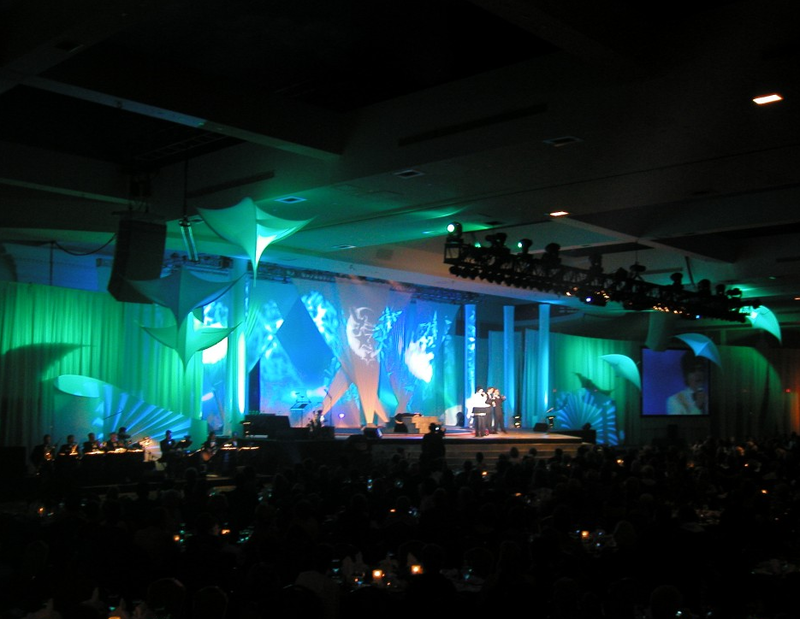 Event organizers know that holding a corporate event can be a very demanding task. Choosing a live entertainer has to be precise and needs careful planning. The entertainment has to cater to a specific demographic and delivered appropriately to the audience fitting the occasion. A professional performer who gives the audience something to talk about long after the performance has ended. In order to have a successful event without the hassle of organizing it, hire a good corporate event planner. Get involved in the preparations but allow the planner to explore themes and ideas best suited for the occasion. The aim is to liven the party and inspire the people who attend. A remarkable event held for whatever purpose is measured by its positive impact on the participants. All work and no play makes the employee unhappy and restless, a behavior that is counter-productive to both the company and the employee. Keep them happy and create everlasting memories. 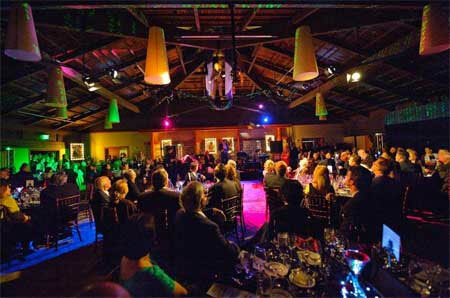 There are a lot of things to organize and manage when planning corporate functions. Whether it is a dinner, a conference or just a simple corporate party, planning involves tedious tasks and intense coordination with various vendors. Fortunately, there are companies offering corporate event planning services year round who are ready to cater to all of your needs depending on your businesses purpose. More importantly there are corporate party entertainers available for these specific occasions that will plan the entertaining, all while relieving you of the headache of trying to figure out how to make sure everyone has a good time. There are corporate entertainment planners who will manage the hiring of performers. They coordinate with the best live performers in your area meeting needs that will best fit the venue. One of the most out of the box performances your audience will indulge in is through mind effects entertainment, which includes mind reading, numerology and hypnotism. During a corporate event, the presentation should be one that captivates the interest of your guests. Mind reading can be the perfect icebreaker as it gives your guests an inclination of what direction the night will go in, sparking interest and conversation. Generating discussion early on in the event creates a relaxed mood. More often clients tend to base their decision on what their experience was when they take the entertainment and party as a whole. Corporate entertainment plays a big role in engaging your target customers to know your brand. With this kind of unique presentation, any company that engages with live entertainment will truly make a mark in the minds of your prospective clients. These are some of the ways you can connect with your prospective clients. Building rapport and establishing relationships will definitely solidify your company’s standing in the industry. By showing clients and prospective clients a good time changes the business relationship dynamic. This helps to retain current clients and opens doors with new ones. Wouldn’t it be nice if you didn’t need to worry about the entertainment when managing your corporate event? Why don’t you try mind reading or numerology presentations for your next conference and see how effective entertainers they can be for your clients! 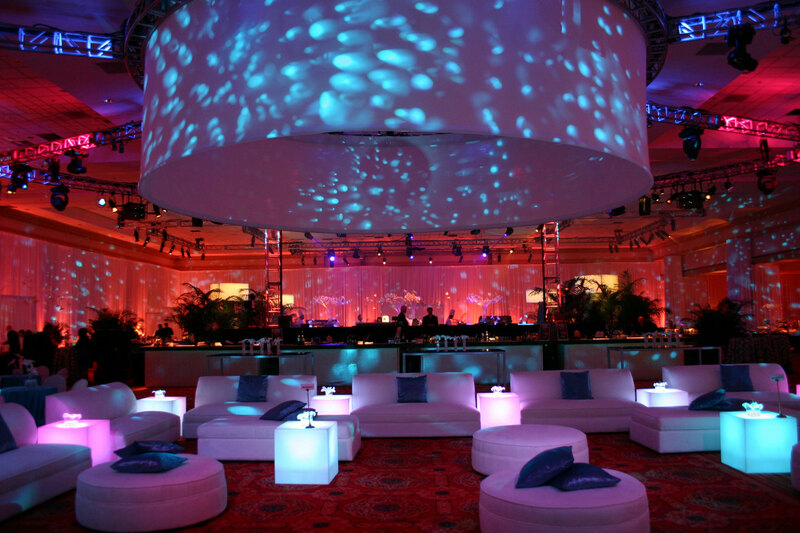 Why now is the time to hold Corporate Events now more than ever? Businesses establish their strategies differently. They factor in different criteria in order to promote the best possible campaign ensuring their company’s growth in a prescribed amount of time. It all depends on the main objective of the company and the goals set, taking into consideration the target market, purpose and profit to be made from such ventures. 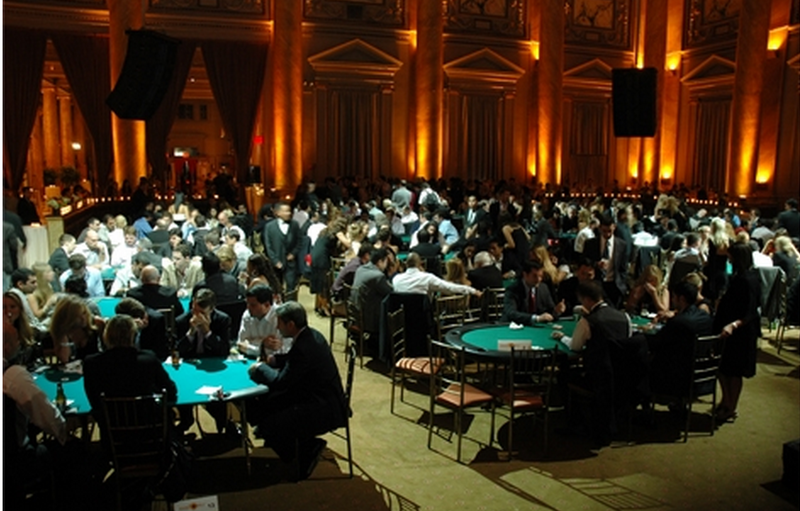 Holding corporate events is becoming a popular approach in order to attract clients to invest. There are many reasons why businesses succeed on maintaining their goals and sustaining company growth by holding corporate events. If you’re a project manager or a marketing specialist and still aren’t sold on the benefit of conducting corporate events – you may want to reconsider! According to research, 40% of customers tend to switch to a competitor when they learn the rival company provides a better overall experience. By holding events that include live entertainments such as corporate mind reading shows or a corportate numerology show, for example, magnify the strengths of your current campaigns as well as future prospects. It also stands to be used as an opportunity to showcase and highlight certain product features which can only be provided by your company. It’s also a way to keep your current and new products in the face of current and potential clients, reminding your target market that they still have the option to buy your product – and giving insight to new clients of your abilities to help them succeed by purchasing your product. Holding a corporate event helps to set a tone for your guests and gives them the opportunity to relax and enjoy the pitch without being fed the hard sell. This gesture creates a more comfortable environment for them to explore your product. When you make a good impression and generate rapport with your clients, you also receive good reviews about your product or service. An added benefit to these events is to invite staff to recognize their efforts. Most clients tend to be impressed with large companies which are able to bond their staff and induce team spirit and camaraderie in their principles. Essentially, 90% of customers who were dissatisfied by the service provided by a company would warn others about it. Only 24% keep in contact with the company to resolve the issue while a whopping 66% discourage others in buying their product. When you hold a corporate event, it is an opportunity for you to boost your client’s confidence about your product. Take charge and feel the perception of your prospective customers about the product. Providing a memorable experience also makes an impression that you value your clients and their needs. If you invite high-end potential clients to a special event, you have the opportunity to put your product in the forefront. Even when you’re ahead of the pack, you can greaten the distance ahead of competitors by establishing corporate events. This is also an effective way to make big announcements or launch new services. The truth is businesses revolve around the network that you build. It is all about creating connections and establishing rapport in order to build professional relationships. Most companies stay with their suppliers to keep their bonds strong. There are also companies who organize events for their retailers, dealers and distributors to further strengthen their hold on their profit-yielding partners. By hosting an event or conducting an industry conference, you will be able to solidify the presence of your business. Solid relationships with clients spell out the difference between losing a certain account or retaining one, especially when competitors are just around the corner. These are just some of the advantages. But, the success of your campaigns highly depends on your purpose. Let your purpose guide you to develop creative, interactive campaigns that will capture your client’s interest. When purchasing entertainment you want to be able to make the process go as smoothly as possible. I’m not just talking about the nuts and bolts of signing agreements. But also knowing what you don’t want as much as realizing what you do desire when talking with the entertainer. Communicating is so important. The entertainer wants all to go as smoothly as you do. So what follows are steps to make your booking …and entertainment experience a pleasant one. Decide the goal that you wish the entertainment to achieve. To break the ice and get people interacting. To market or sell a product or service. What is the desired format? Technical needs (power requirements, backdrop, light and sound) Some entertainers provide their own equipment as part of a package. This often is less expensive than hiring from an outside source. Set- up time and load in specifics. Entertainment needs a captive audience! No food service during a stage show if it is a directly interactive style of performance. You want to get your bang for the buck without people being distracted. Have your event facts ready so that the entertainer can be specific for you. Green room or area so that entertainment can relax when not on. Preparing for a corporate event is not an easy task. You must be able to incorporate business with entertainment as cost effectively and fulfilling as possible. But how can you reach this goal if your guests including yourself are bored with the same old ideas that have been used over the years? Your audience needs something new, never before seen. They don’t want music played from your iPod in the background while sipping drinks, talking to one another. They are tired of the same talent shows, especially if they are not among each other. Guessing games can be fun, but they do not offer mental stimulation. Remember that your audience is not made up of young children who’d enjoy party clowns or balloon sculpture artists. They are professionals who want value for their time and effort. They want to remember the great time they had at your party. If you are searching for a new way to liven up your events, then, hiring live entertainers might be the perfect solution. But instead of hiring musicians or artists, why don’t you give them someone unique, someone who can explore the mysteries of the mind? Get the services of someone who does not only entertain but also helps you reach your goals through his effective use of mind effects all while getting your guests engaged. A great entertainer can even incorporate your ideas into his performance so that it has a personal touch. For example, if your aim is to boost the relationship between employees and management, you can hire a specialist to hold a mind-reading presentation. Such a show can reveal the thoughts and aspirations of managers to employees and vice-versa. How? A mind-reader can choose a manager and attempt to read his thoughts just by asking him about the place he wants to visit. He can go around and choose one of the employees, or even you. You’ll feel the excitement mounting as each person in the room eagerly listens to what the mind-reader has to say. He can engage the audience even more by using special effects – mysterious music, fog machines – the works. Remember this is entertainment and that is the end goal, for everyone to be entertained. This is a sure way to get undivided audience participation, don’t you think? Or maybe you’d like to learn more about your staff or just have fun times with each other. If so, you might want to consider hiring a numerologist to coincide number and events all while incorporating your guests. You’ll be amazed at what birth dates may reveal about a person. True or not, these predictions can foster camaraderie as the guest compare results with each other. Perhaps the long-term effects of activities like these can be felt most in the workplace. Long after the event, you’ll notice employees to be more friendly and helpful to each other. You’ll find them opening up to their superiors. You’ll hear commendations from their higher-ups, and eventually, you’ll notice more productivity from each of them. The next time you plan a corporate event, consider live entertainment that matters. It can have lasting effects on your audience, your business and your clients. This information is provided by An ESP Experience, visit us online at https://anespexperience.com or call us at 206-682-0653.
for your entire group at once. For your corporate event on a one to one basis.